Can I Study for the ACT in One Day? 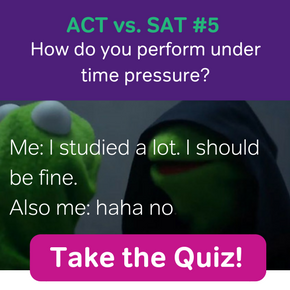 If the clock is ticking, make sure to also check out our One Week ACT Study Schedule, ACT Tips for Test Day, and our last minute ACT Prep Tips! Can you study for the ACT in one day? My answer to this question is yes. You can study for the ACT in one day. But you probably shouldn’t. Can you study for the ACT in one day and get a good score? Now that’s the real question, isn’t it? For the majority of test takers, this isn’t possible. Standardized tests usually require advanced prep time and study. There are rare cases where a student has such a good handle on academic knowledge and such a gift for standardized testing that a final-day glance at the ACT is all they need. These aren’t hypothetical cases. I have actually seen students get pretty good scores on the ACT with little study or no study. Still, even though these students could study for the ACT in a day, I don’t think they really should have done it that way. Because with study, their scores could have been even higher. I’ve never worked with a student who got a perfect 36 after just a day of study. The students who study the ACT in a day “successfully” get scores in the high 20s and low 30s. Good, yes. But imagine if a student with that kind of talent put some real time into their ACT prep. Such a student probably could get a 36 with enough time and effort. And a 36 opens doors to top schools and scholarships in a way that–say– a 28, 31, or 33 won’t. Maybe you have your heart set on a state school with an ACT requirement of 27 (give or take a point). And maybe you feel really confident that you are one of those great students who can place in the 28-33 range after just one day of study. You ace standardized and multiple choice tests, and you know your stuff. In those circumstances, it may seem like a good idea to study for the ACT minimally, so that you can devote more time to school work and another things you need or want to do. Confidence aside, this approach is still risky. If you’re wrong and you can’t get the ACT score you need after just one day of study, you won’t know until it’s too late. Your day of study could be a disaster. If that happens, you’ll have no real time to salvage the mistake before test day. Or your day of study could seem to go well, but once you actually sit for the test, you realize you’re not as prepared as you thought. Telling yourself you don’t need to make time for ACT prep can work out. But if it doesn’t, then you’ll fail an exam that’s very important to your dreams and future. Is studying for the ACT in one day ever a good idea? My answer to this question is yes… but only under two uncommon circumstances. If you really feel confident that you can get a good ACT score in a day, and you have time for a future retake at a later date, I say go for it! If you get a terrible ACT score from this experiment, you can study sufficiently on the retake. And if you actually get a good ACT score after just one day of study, you’ll know that a perfect score is very possible the next time around, with a bit more prep time. Another situation where it may be good to study for the ACT in a day is that situation where “life happens.” Sometimes after you schedule the exam, life can get crazy, and you may be simply too busy or distracted to do good ACT study. 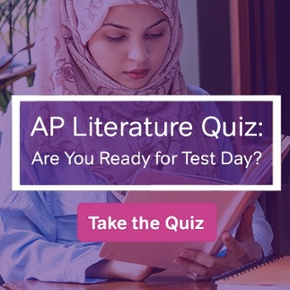 You may even forget all about the ACT until you’re right on top of test day. If one day is all you have, then by all means study for a day. The worst that can happen is that you’ll need to take the ACT again, under better circumstances. And the best that can happen is that you surprise yourself and get a decent score.